Tracks in the Snow....in the Classroom? Animal Tracks: Keeping Track of Who Has Been Here! In the Snow: Who"s Been Here? 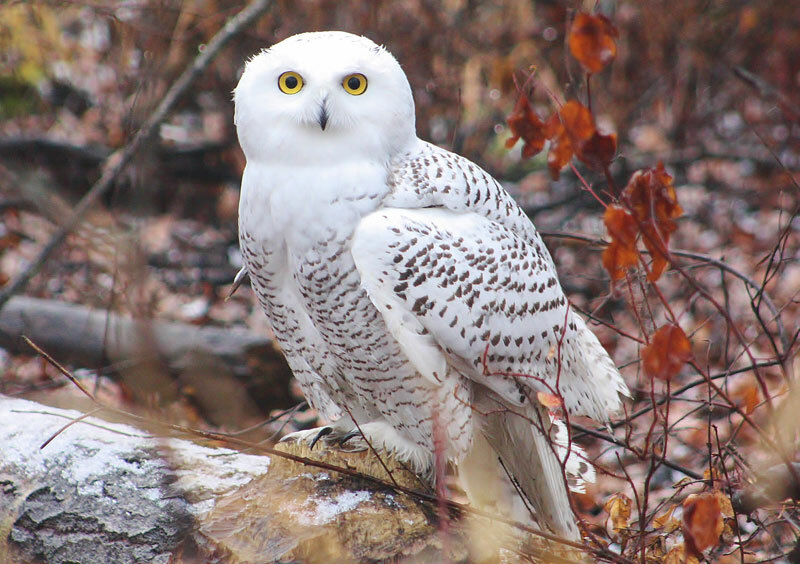 Sure, you’ve seen Hedwig the Snowy Owl on screen (actually played by male owls), but have you seen one of these stunners in real life? 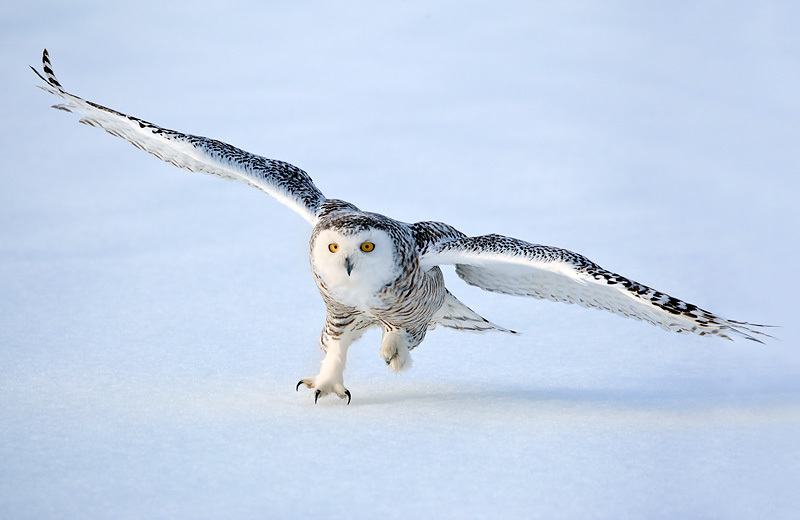 The winter of 2013/14 was great for sightings, as there was a significant irruption throughout Canada and the U.S. This fall, there have been a typical number of reports from the Northeast, upper Midwest and Great Lakes areas, and accounts of plentiful prey in their normal wintering areas may mean fewer birds than last year. 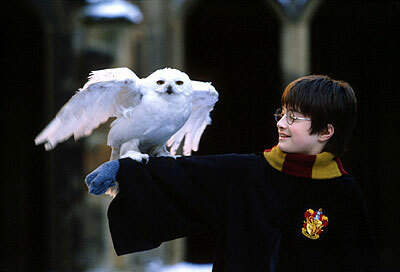 But keep your eyes open in case one of these magnificent birds wanders into your area. 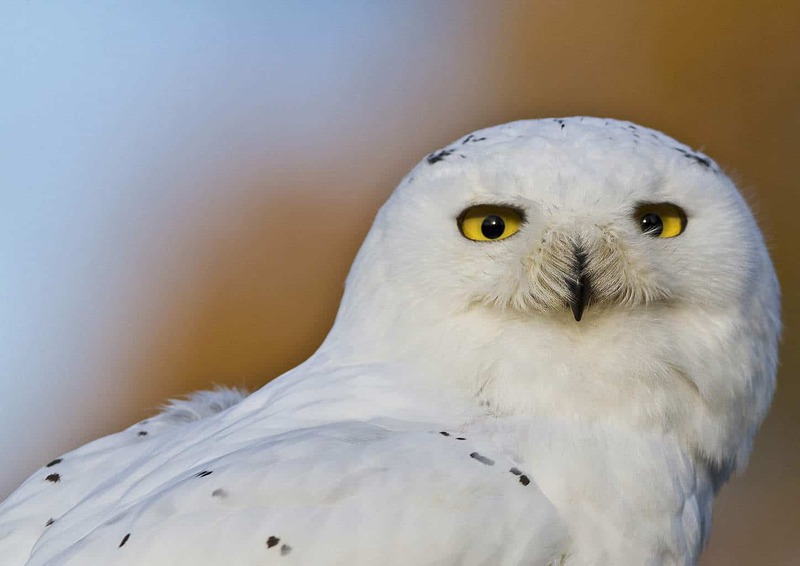 Snowy Owls are arctic breeders. Every winter some show up in the south, often juveniles whose plumage is more flecked with brown (females are even more barred). But every four years or so an irruption occurs. Why? Not because they aren’t adapted to the cold winters – their thick down allows them to maintain a body temperature of 37.8-40.0°C when it’s -57.0°C out (brrrr). The classic hypothesis posits a series of cycles. After all, an owl has got to eat. It was thought that the irruptions are linked to crashes in lemming populations (their main food source) further north, which have a boom and bust cycle over three to four years. When lemmings peak in the summer, owls fledge several chicks instead of just one or two. This increase in population pushes young-of-the-year birds south. On top of that, when the lemming population crashes, adult Snowies have to migrate south as well. Some scientists have recently suggested there is more to the story, since Christmas Bird Counts show that the numbers fluctuate irregularly from year to year, and lemming crashes are often more regional than the large-scale geographically synchronous owl migrations. Other factors such as snowfall and extreme temperature conditions may play a role. 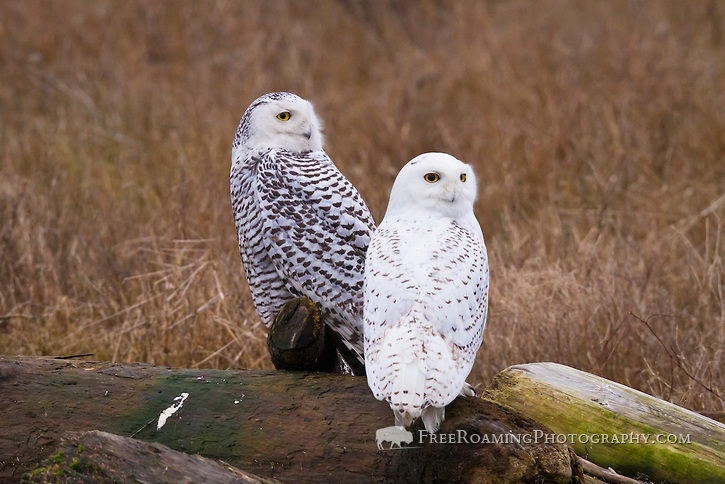 Some Snowy Owls may also migrate between Russia and Canada! We are also learning about both their winter and summer movements at a local and landscape level from new tracking technology. The mechanisms of lemming population crashes are not completely understood either, but one sure thing is that Disney had it wrong - they don’t commit suicide. Rather, population peaks lead to mass migrations (contains a good video), and the large numbers of lemmings become so focused on getting somewhere that they realize too late that they are accidentally enroute to fall off stream banks and cliffs. It likely more complicated than this though, with many other factors contributing to the population crashes including infanticide, predation, starvation, disease and global warming. In the south, Snowies like open country with Meadow Voles, so be on the watch for the occasional Snowy on a fencepost, stump or rise of ground. They act remarkably tame, so while you can get quite close, please don’t try – you may stress starving birds, and reduce their chance of survival. Be content with the large number of excellent, on-line close-ups. Late this month, Great Gray Owls may also arrive for a winter sojourn. 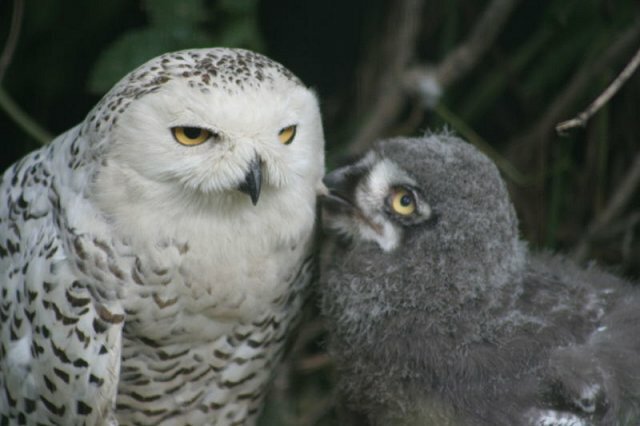 Great Grays are largely rodent predators, and with their large facial disk and resulting sharp hearing, these owls can hear, and catch, rodents that are beneath 30 cm of snow. Here’s their call (scroll down a bit) – it’s the prototypical “hoo, hoo!”. Our bird feeders have gotten very busy lately, with American Goldfinches and Black-capped Chickadees in particular. 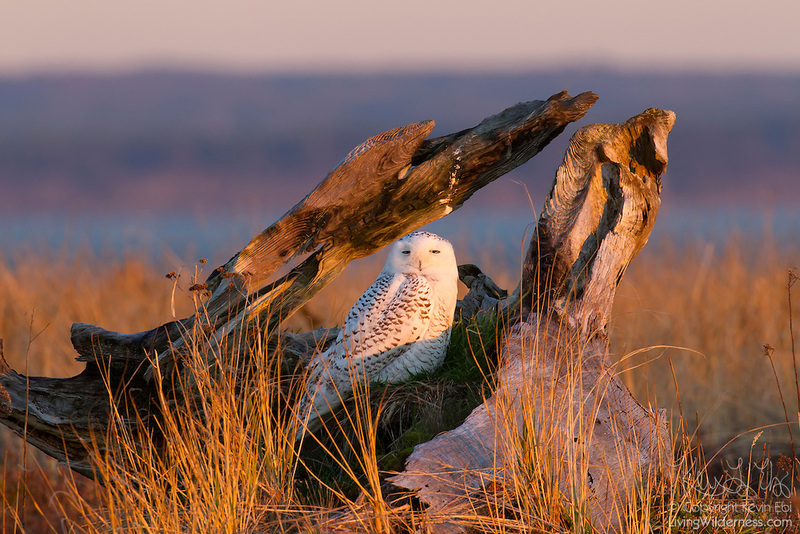 Other places to look are any areas of open water (gulls, eagles, ducks), open fields (Snowy Owls, Red-tailed Hawks, Snow Buntings) and roadsides (winter finches). Finches in particular are forecast to move heavily into southern Ontario, southern Quebec and the Maritimes. So load up your feeders and see if that comes true in your region. Recent snow means that fresh animal tracks can be easily identified and followed. We may feature tracks later in the winter, but here’s a good, short, basic primer on tracks and tracking (go in particular to Tracks in the Snow). Here are some simple track ideas for local field trips and the school yard. Porcupines and their sign are very evident now because they remain active throughout the winter and there are no leaves in the way. This site provides a good visual history, including tracks in the snow, winter dens and feeding sign. With the holidays, we turn our attentions to the coniferous trees, analyzing their shapes in debates on which to choose. Balsam Firs with their wonderful fragrance, steeple-shape, and long-lasting needles are favourites. In the Northern Hemisphere, the Winter Solstice occurs on December 21, 2018 at 5:23 AM EST. At that time, the North Pole is tipped farthest from the sun, marking it the shortest day of the year, and the beginning of winter. Days will begin to get longer – reason for celebration around the world (scroll down). It has been just three short months since the sun appeared to cross the equator during the fall equinox, and is just eight weeks before the first spring bird song. Seasons occur because the earth’s axis of rotation is tilted 23.5o relative to the plane of the Earth’s orbit around the sun. No one knows for certain why the Earth tilts, but we have a fair idea. Imagine if it didn’t – the sun would always appear to be over the equator, and it would be spring/fall everywhere, all the time. No seasons. On average, December is only slightly milder than the deep winter period of January/February. The average daily maximum in the Kawarthas is -1.0oC, and the average daily minimum is -10.4 oC. The amount of rain and snow is in rough balance with 33.9 mm or rain and 41.5cm of snow (1 mm of rain is equivalent to 1 cm of snow). What about where you are? Find long-term averages for a location near you and compare them to this year. The Geminid meteor shower peaks on December 14 after midnight, and the moon will not be an issue. This shower is considered to be one of the most active, and is the only one that does not originate from a passing comet. A minor shower, the Ursid, occurs around the solstice and radiates near the Little Dipper. Unfortunately, the full moon will disrupt viewing. The moon will visit Mars around dusk on the 14th, but just before dawn on the 15th, Mercury joins Venus in the morning sky, soon to be followed by Jupiter, which slowly climbs toward Mercury until the 21st, when they will be in conjunction. And on the morning of the 31st, all three planets and the moon will line up before dawn, a premature New Year’s celestial celebration. So go celebrate, you morning people!